Ni Yan was born and raised in Hunan province, China. Her legal talent and presentation skill were recognized as early as she was pursing her first law degree from Beijing China, as she was invited to give speeches at major academic conferences in National Taiwan University and Hong Kong University. A law commentary book she co-authored on the then newly-adopted Chinese contract law also received high acclaim from the research and practitioner communities. After graduation, her academic excellence earned her a highly competitive scholarship from the Law Center, University of Houston, where she successfully obtained her second law degree. She has been practicing law since March, 2002 after being licensed as an attorney at law in U.S.Today, Ni practices at the southwest Houston office, specializing in immigration cases representing both individuals and corporations. She has successfully represented clients in over 10,000 cases and thrived on helping those in need to realize their dreams of living or working in the United States of America. 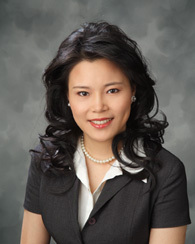 She is professionally well-liked and popular due to her practical and sensible approach and her friendly business communications with her clients.Ni writes Saturday Immigration Law Columns on two major newspapers, the Southern Chinese Daily News and US Sino Newspaper.She also hosts a bi-weekly radio talk show on immigration law. Both these media events are extremely popular due to her highly reputed legal advice and information sharing to the readers and listeners. She also gives seminars at universities, research institutions and community events.